A train driver at Treblinka Station, as seen in Claude Lanzmann’s Shoah. Steven Spielberg’s Schindler’s List is the most famous movie about the Holocaust, but it was documentary maker Claude Lanzmann, who died on Thursday aged 92, who most accurately shaped how we remember mankind’s darkest hour. Filmed in 14 countries over 11 years, Lanzmann’s gruelling nine-and-a-half-hour documentary, Shoah (the Hebrew word for catastrophe), has been more widely watched in schools than cinemas since its 1985 release. There are no popcorn-friendly stars or storylines, no archive footage or re-enactments. Shoah simply, exhaustively, microscopically picks apart the people and places of the Final Solution. Excruciating interviews with victims and perpetrators merge with mundane images of fields, forests and town squares across Europe where the horror happened. Commuter trains rumble along the same rusty tracks that carried Jews to gas chambers. As an interviewer, Lanzmann painstakingly obsesses over tiny details and never breaks the lingering silences as each subject struggles with their demons and their loss. I interviewed Lanzmann in 2001 about another of his forensic Holocaust documentaries, Sobibor, October 14, 1943, 4pm. The title pinpoints the moment, a group of Jewish camp prisoners, aware they were doomed, decide to kill their captors and escape. They quietly assassinated the guards one by one, starting at 4pm. The break out led to the camp’s closure and serves as a example of what Lanzmann called the Jewish “reappropriation of power”, exploding the myth of Jews as passive pawns. 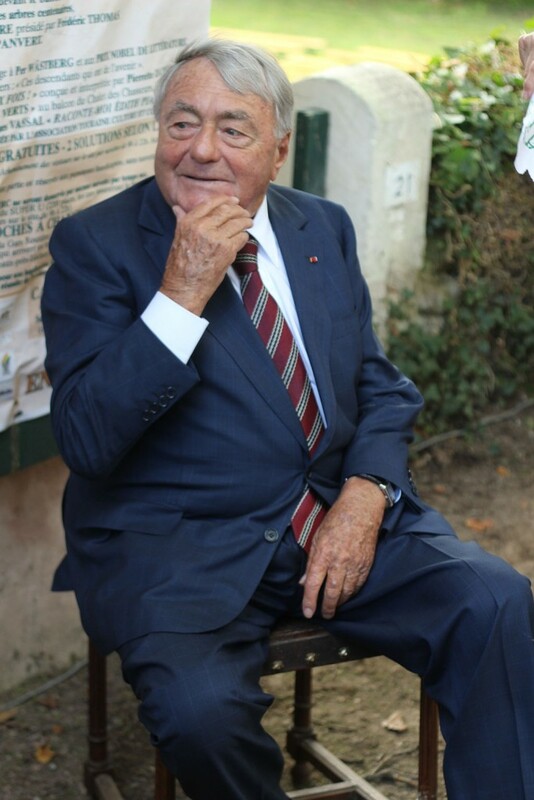 In person, Claude Lanzmann was as uncompromising as his art. He preferred to let his films to do the talking. They will be talked about and taught about for decades to come.